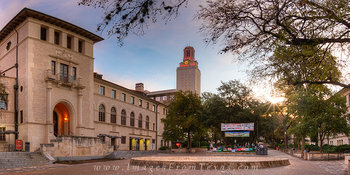 Just north of the downtown area is the University of Texas Campus. 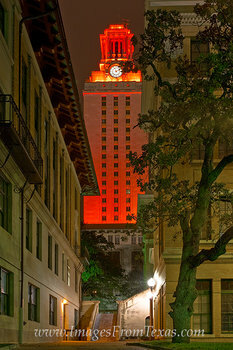 As a part of the Main Building, the UT Tower is a landmark in Austin. 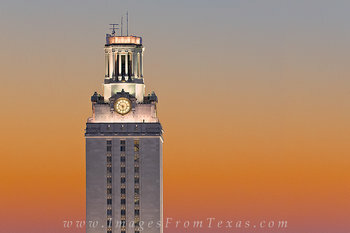 It rises 307 feet and 30 stories into the sky. 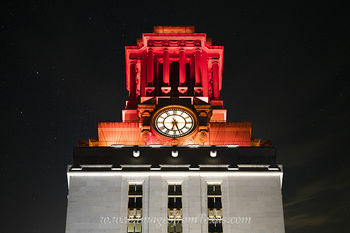 One little known fact about the Texas Tower is that in World War II a siren was installed to warn locals of an impending air attack. 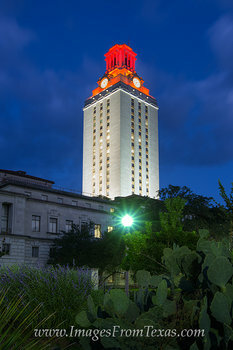 Fortunately, the siren was never required. 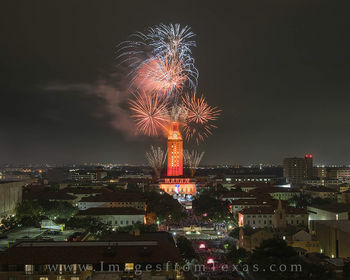 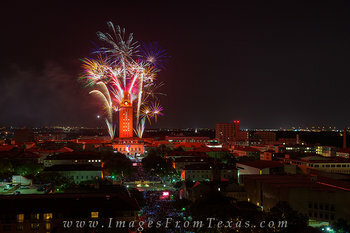 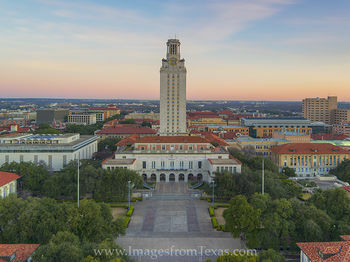 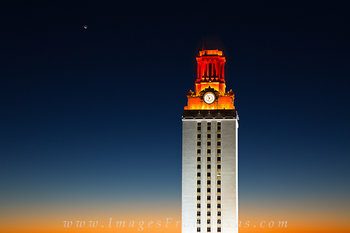 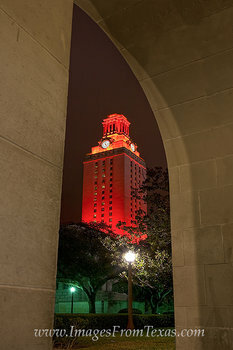 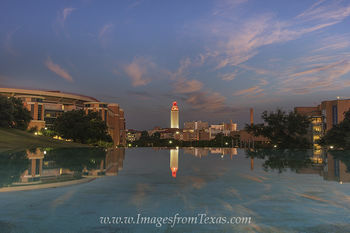 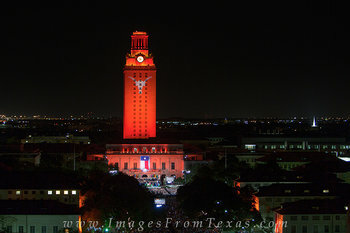 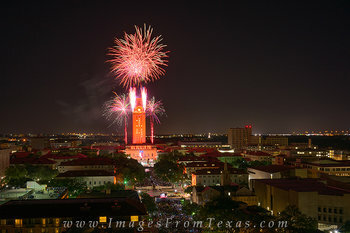 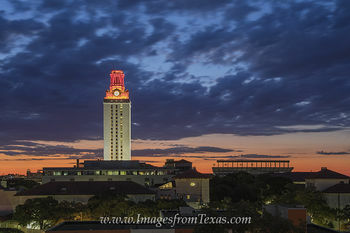 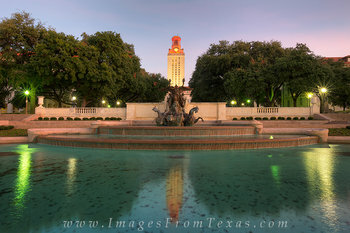 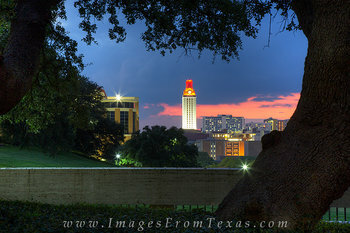 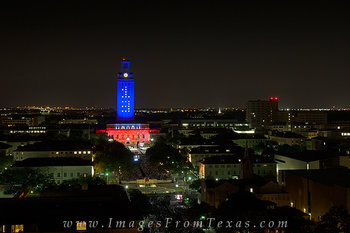 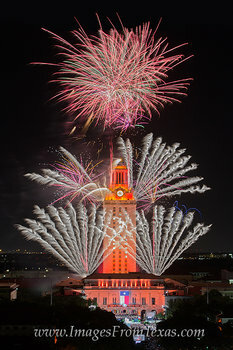 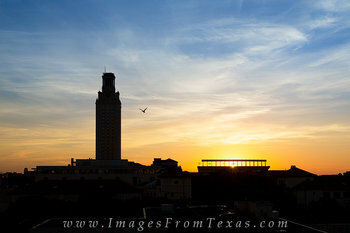 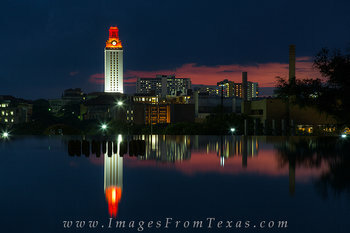 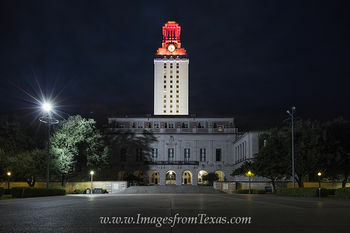 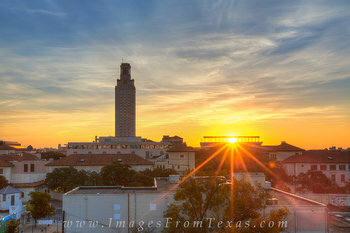 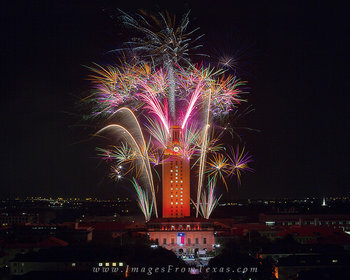 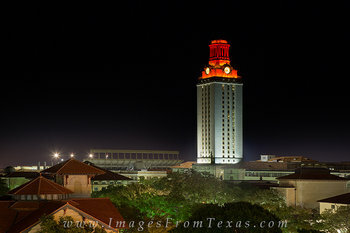 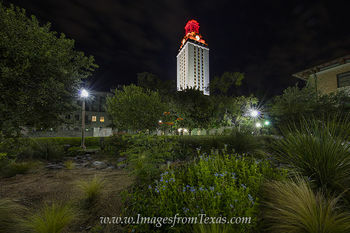 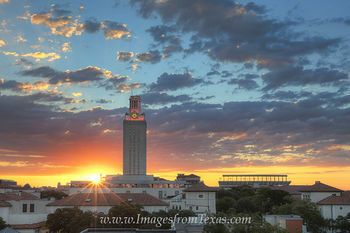 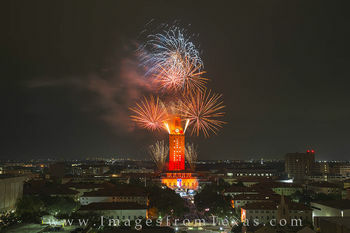 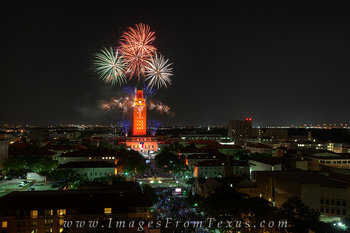 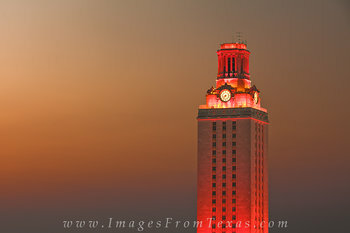 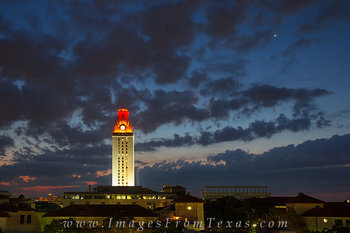 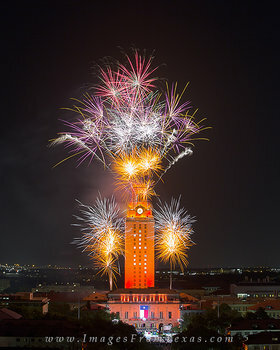 The tower is normally lit in a soft white light, but on special occasions such as academic achievements or athletic honors, it is lit either partially or fully in an orange light.Because of copyright laws, images featuring solely the UT Tower are not available for licensing or marketing needs.